Yesterday, I participated in the latest meeting of the School Parking and Pupil Safety Working Group at which a group of senior council officers, councillors, head teachers and parent council representatives discuss and tackle safety and parking issues at our schools across the city. We had a good discussion about a number of issues including risk assessments, safer routes to schools, issues at various schools and the safety planning for new schools projects including Harris Academy. 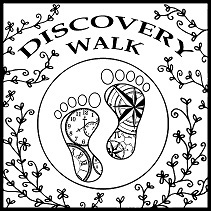 Thereafter, I attended the latest meeting of the Discovery Walk committee that took place at the University of Dundee. I have previously mentioned the proposal for “Discovery Walk” in the new Waterfront area that will initially comprise nine plaques set into the paved area of the Green Space that depict some of the great Dundonians who have made a real contribution to the city in the field of discovery. Last night, after my ward surgery at Blackness Primary School, I had the great pleasure of attending the retiral dinner for Jim Thewliss, Head Teacher of Harris Academy, at the Invercarse Hotel. There were great speeches by Jim’s colleagues, former colleagues, the Parent Council Chair and Jim himself and it was a memorable night and a fitting tribute to Jim and his superb work at Harris Academy over 18 years. Last week, both the Courier and Evening Telegraph highlighted my concerns after the recent case of a young boy finding a dirty needle in a stairwell in the Blackness area. I made the point (and reinforced it at the City Council’s Policy & Resources Committee) that there was a need to publicise to residents the steps to take if a needle or needles are found. To simplify the safe collection of needles there is a single point of contact phone number. This can be used 24 hours a day for a rapid response to remove the danger and the contact number is 433063. 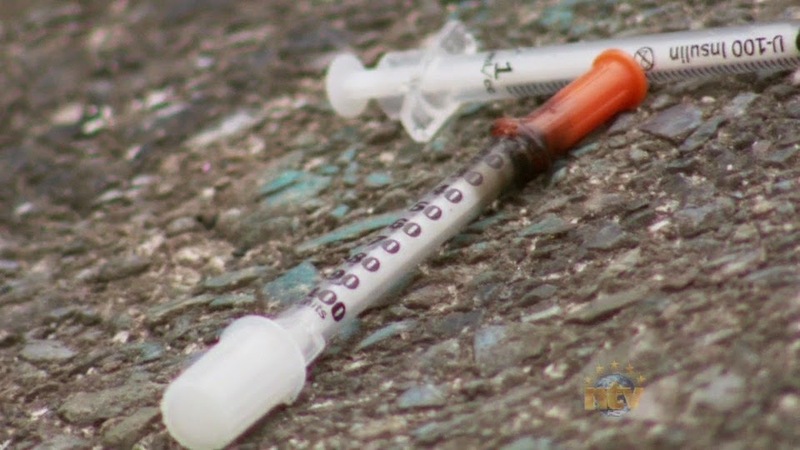 “I would add to that we are shortly to launch a Dundee Community Safety Partnership Facebook Page which will also be used to promote messages about the safe disposal of needle litter. 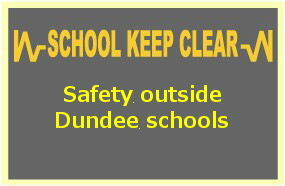 Street lights in Dundee have fewer faults that are fixed quicker than in any other Scottish city. The figures, revealed in a new report to go before councillors next week, also show that the carbon footprint from street lighting in Dundee was the lowest of the four other major population centres in Scotland. Members of the planning and transport committee, which meets on Monday (June 9), will be told that in 2007/08 the average time taken to repair a street light in Dundee was 1.8 days, and that only 20% of street lights developed a fault. Convener of the planning and transport committee, Fraser Macpherson said: “Street lighting makes an important contribution to road safety, crime prevention and the safety of groups who might feel vulnerable after dark. “Recognising that, the council moved to a more proactive way of dealing with the street lighting stock throughout the city. The report by director of planning and transportation, Mike Galloway shows that street lights in Dundee are repaired twice as quickly as in Glasgow, the next best performing city; and that in percentage terms Dundee has fewer street lighting faults every year than any other city. Compared with Dundee, Aberdeen has four times as many lights per 1000 street lights not working as planned on any one evening, while in Glasgow the figure is seven times, and there 11 times as many in Edinburgh. Dundee City Council has also reduced the energy consumption per street light to 104 watts as a result of the planned replacement regime cutting wasted energy. This figure compares with 111 watts in Edinburgh, 119 watts in Glasgow and 120 watts in Aberdeen. Work on two key elements that will underpin the multi million pound transformation of Dundee’s waterfront will go before councillors next week. Members of Dundee City Council’s planning and transport committee will be asked to approve £450,000 of works to Gellatly Street and changes to the area’s car park to help patrons of the new hotel at the site. Planning and transport committee convener, Fraser Macpherson said: “As work on the waterfront goes on and roads are re-aligned and traffic flow changed, Gellatly Street will become much busier. The resurfacing work will be done in two parts the first going from the south junction of Dock Street and Commercial Street round to the entrance of the multi-storey car park. As a result Gellatly Street will temporarily change from being one-way northwards from Commercial Street to Seagate to a no-through road. While work is going on in the first phase Gellatly Street will become two-way from Seagate to the multi-storey car park, which will remain open throughout the contract. Heavy goods vehicles which will not have space to turn will be required to park on Seagate and transport deliveries from there to businesses in Gellatly Street. Residents and traders in the street have been notified of the changes to the traffic flow and arrangements for deliveries while work progresses. Plans to open the new Holiday Inn Express hotel in Dock Street are well advanced and a link between the building and the adjacent Gellatly Street car park has been agreed. Councillors will be asked to endorse a recommendation to issue paid for permits to hotel patrons allowing them to park in Gellatly Street car park from 2pm until noon the following day. Cllr Joe Morrow, who chairs the Waterfront Project Board said: “These two elements of activity in Gellatly Street are fundamental to the early part of the revolutionary makeover of Dundee’s waterfront. The planning and transport committee meets on Monday (June 9). Almost £250,000 could be spent in Dundee on projects that will improve access to walking and cycling facilities and/or reduce danger to pedestrians and cyclists. If councillors back the move at a meeting on Monday (June 9), the money will be spent under four broad headings to meet the council’s cycling, walking and safer streets policy. The planning and transport committee is being asked to back lowered kerb/footway improvements, pedestrian access and safety, outdoor access and cycling measures. 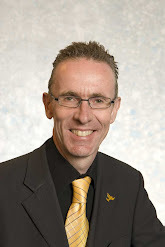 Convener of the planning and transport committee, Fraser Macpherson said: “Projects across the city will be funded by this extra money, which has been allocated by the Scottish Government. According to a report to go before the committee, £100,000 has been allocated to lowering kerbs and improving footways to increase accessibility for vulnerable pedestrians including the elderly and children. Improvements to existing pedestrian crossing facilities and new infrastructure to improve pedestrian access and safety have been given £99,000. A number of projects to give more access to the outdoors for cyclists and pedestrians have had £30,000 earmarked for them, and £20,000 has been identified to fill in the “missing links” in the city’s cycling network.